Tongariro National Park is world famous for so many reasons. Its stunning scenery, magnificent ski fields and volcanic activity have all made headlines at some point. But did you know it’s also the filming location for The Lord of the Rings? 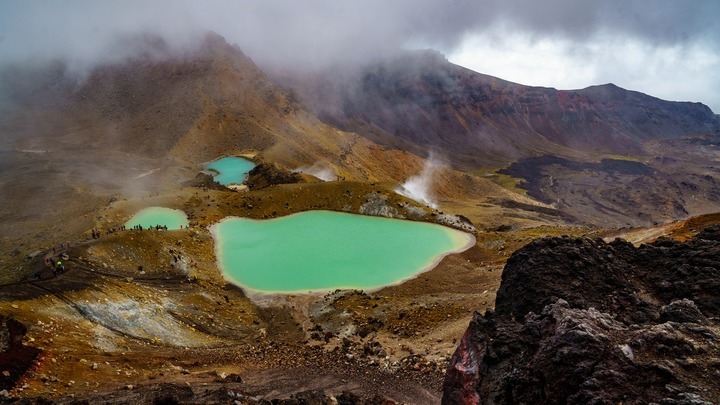 Discover these enchanting parts of Middle-Earth on the Tongariro Lord of the Rings tour. Fans have come from far and wide to take the Tongariro Lord of the Rings tour since the epic trilogy hit the screens across the world. With an opportunity to visit so many filming locations, it’s easy to see why fans are so keen to check out our corner of the world. Whilst it’s not an official tour, the Department of Conservation have kindly put together a list of coordinates where key scenes were filmed. And with the magic of Google Maps, finding these locations is easy. The Tongariro Lord of the Rings tour is a self-guided mission to visit these coordinates and follow Frodo’s quest to save Middle-Earth. The Tongariro region was chosen for its barren, rugged landscape and vast volcanic rock formations. Creators felt this was the ideal location to depict the fiery wrath of Mordor and Mount Doom. By simply visiting Whakapapa ski fields, you can tick of a few of the tour’s coordinates. The seemingly impossible maze, Emyn Muil, is located behind Whakapapa’s Aorangi Lodge. Although the films are known for their incredible digital enhancements, with a little imagination you can visualise Gollum leading Frodo and Sam into the razor-sharp and impenetrable terrain of Emyn Muil. Whakapapa ski field was also used in the depiction of Mordor. The famous scene where Isildur cuts of Sauron’s finger with the ring was filmed here. 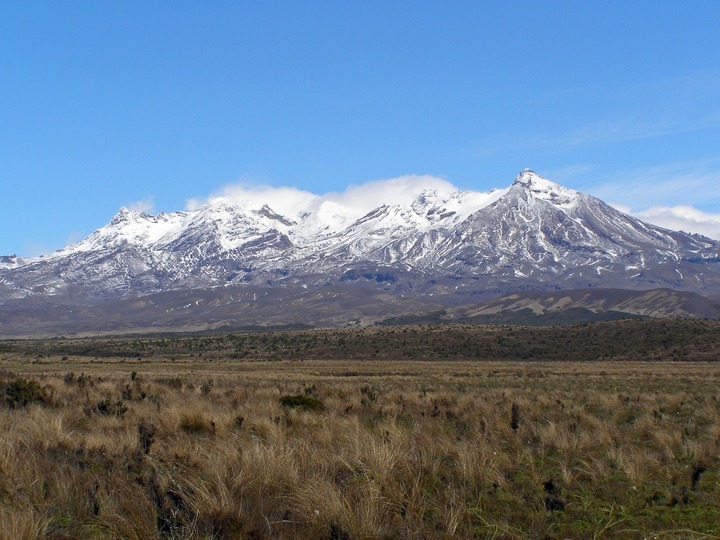 This is a must-see for many fans who come to do the Tongariro Lord of the Rings tour. Visitors have also been known to trek to the summit of Mt Ngauruhoe on the Tongariro Alpine Crossing to imagine the fiery peaks of Mt Doom. See the craters, glistening lakes, mountain springs and volcanic rock as you trek from Mt Tongariro to Mt Ngauruhoe, covering more filming locations as you go. It has also become a popular activity to throw a ring into Mt Ngauruhoe and save Middle-Earth (not that we would recommend doing this!). But it’s not all about the mountains. Head over to the lovely town of Ohakune to see the Mangawhero River. You can reach the river via one of Ohakune’s many short walks. Beginning at the car park on Ohakune Mountain Road, take the short 10 minute walk to the beautiful Mangawhero Falls. Here you will be taken to the dramatic scenes in Ithilien where Gollum catches a fish. The Mangawhero River is also home to another scene from Mordor where Frodo and Sam pass a ruined column. You don’t have to be a die hard Lord of the Rings fan to take the Tongariro Lord of the Rings tour. The tour also offers visitors an exciting way to see some of the best of the Tongariro National Park region. If you’re dragged along by a friend or family member who have been desperate to do the tour, you won’t be disappointed by what you see. From the mountains to the rivers, the tour is loaded with amazing sights. There is so much beauty in following Frodo’s footprints. There are many reasons why Peter Jackson and his team chose the Tongariro National Park as a filming location. The breath-taking scenery is something everyone should experience at least once in their life. The rugged terrain exposes a vast untouched landscape formed by the natural activity from the area’s volcanoes. The timeless epic fantasy has been a best-selling trilogy since it was published in 1954. With the release of the film series, the imagination of Peter Jackson was brought to life and fans were transported to Middle-Earth through the screen. Having the Tongariro National Park at our doorstep, The Park Hotel is an ideal choice of accommodation for visitors keen to do the Tongariro Lord of the Rings tour. As fans ourselves, we can offer plenty of advice. And we don’t mind a little LOTR jargon. We are passionate about the Tongariro region and believe it’s one of the most beautiful parts on (middle) earth. This is why we offer quality accommodation right at the heart of the region. 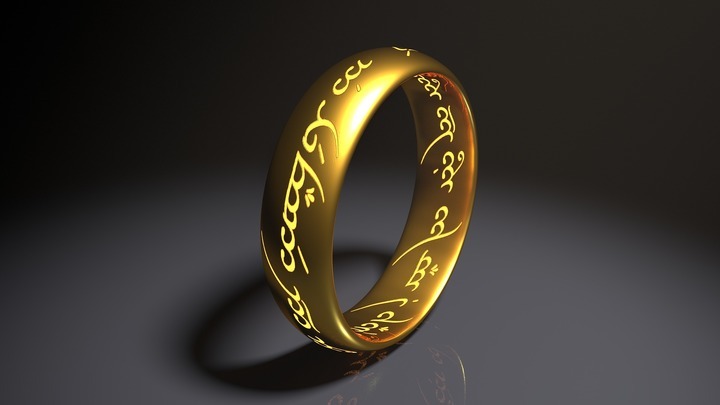 Immerse yourself in all things Lord of the Rings and call us today to book your Tongariro accommodation.